Yeah, it doesn't look much like a GT40 to us, either. Due to its mid-engine layout and relative affordability, the Pontiac Fiero is a fairly common platform for using to create replicas of more exotic machines like Ferraris and Lamborghinis. 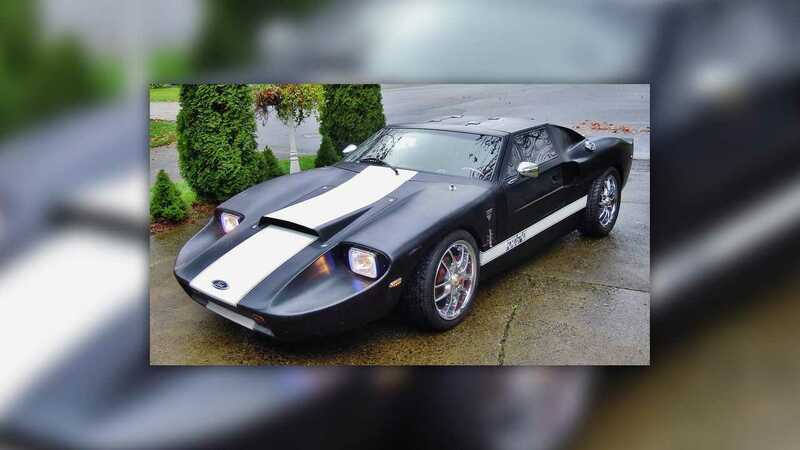 Someone with even a passing knowledge of classic Fords should be able to look at this GT40 kit car for sale on Craigslist and tell that it's not the real thing. The truth is far weirder, though, and makes this oddity worth taking a closer look at. This car's underpinnings come from a 1987 Fiero, but there doesn't appear to be much of it left. A Kelison body kit now covers the exterior, and it's quite a sight. The styling takes clear inspiration from the GT40 but with a longer, pointier nose and a hood scoop. However, there are a set of gullwing doors, unlike the original sports car. The rear end features a fake set of velocity stacks and air cleaner. The interior features a mix of red and black upholstery. The quick-release steering wheel makes accessing the tight interior a little easier. However, the seller warns in the listing: "If your a taller person this might not be for you as head room [sic] is limited. "The door windows are removable to offer better ventilation into the cabin. Lifting the rear clamshell reveals a transverse-mounted 4.9-liter Cadillac V8. An aftermarket Edelbrock intake is clearly visible on top of it. According to the seller, the engine runs through a rebuilt five-speed manual, and there's a new clutch. The listing says the car has four-wheel drive, but this is very likely a typo because there's nothing indicating that power routes to the front axle, in addition to the rear. The seller claims that this build is recent and nearly complete. There are no miles on it yet. Judging by the photos, a new owner could do some final polishing. For example, the satin-finish paint makes the car look dull, and we might cover it in a glossier color. Covers over the headlights would be another nice touch, and the chrome, multi-spoke wheels don't fit the retro styling. 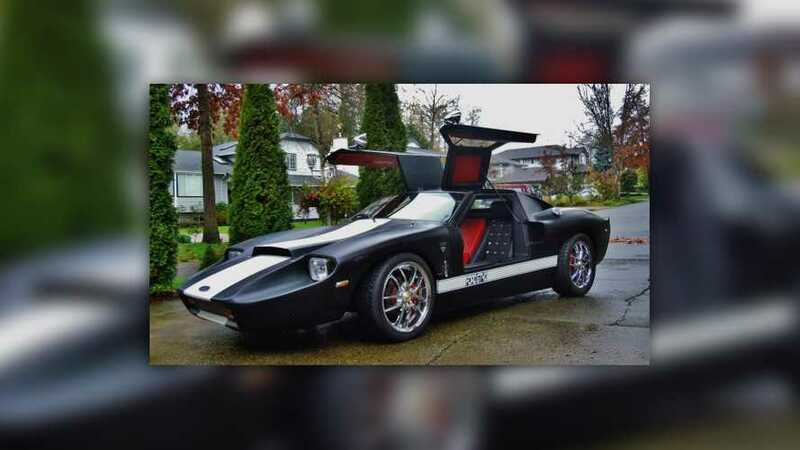 The GT40 replica is located in Burnaby, British Columbia, Canada, for an asking price of $35,000 Canadian dollars ($26,439 at current exchange rates).